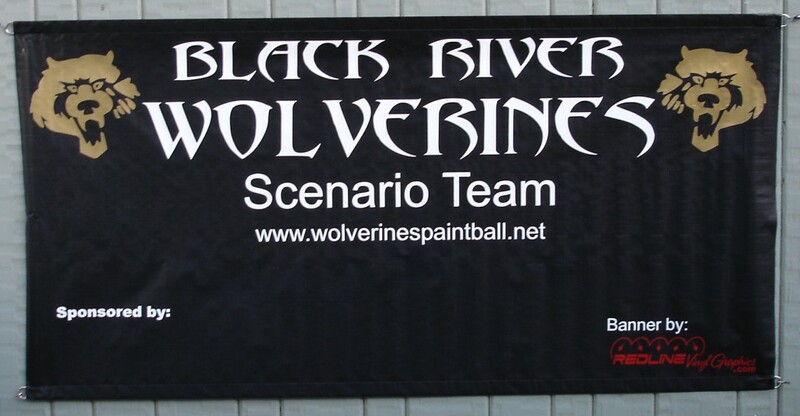 Black River Wolverines is a Paintball team based in N.C.
T.J. in AZ wanted a banner for his motocross racing son. our work and had us do one for his daughter. D.K. in OH wanted a banner for his party. almost glows in the sunlight! We did this one for a local business using their artwork. These were done for a local Internet company. This was for the local Yellow Book office.